Recurrent pregnancy loss (RPL) is defined as two or more consecutive pregnancy losses before the 20th week of gestation with the same partner. Methylenetetrahydrofolate reductase (MTHFR) gene polymorphisms were reported to have an effect on embryonic development and pregnancy success. To clarify the effects of MTHFR polymorphisms on the risk of RPL in the Chinese population, a meta-analysis was performed. Related studies were identified from Medline, Embase, Web of Science, and Chinese Databases up to March 7th, 2015. We extracted the number of both C677T and A1298C genotypes in the cases and controls. Odds ratios (ORs) and 95 % confidence intervals (95 % CIs) were used to estimate the associations. Data analysis was performed using Stata 13.1. 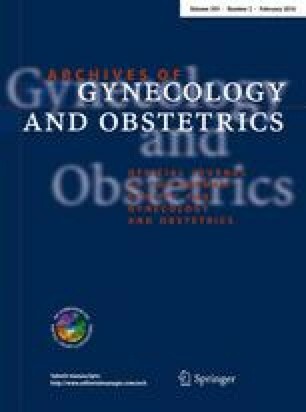 Sixteen articles involving 1420 RPL cases and 1408 controls were included in this meta-analysis. MTHFR C677T polymorphism was significantly associated with RPL risk under dominant (TT + CT vs. CC; OR 2.10, 95 % CI 1.76–2.50), recessive (TT vs. CC + CT; OR 2.36, 95 % CI 1.92–2.90), heterozygote (CT vs. CC; OR 1.77, 95 % CI 1.32–2.37), homozygote (TT vs. CC; OR 3.55, 95 % CI 2.76–4.56), and additive (T vs. C; OR 1.83, 95 % CI 1.64–2.05) model. Sensitivity analyses excluding studies that deviated from HWE did not change the direction of effect. For the A1298C mutation, no significant association was found. The Egger’s regression asymmetry test showed no significant publication bias. Identification of MTHFR C677T mutation would have some implication for primary prevention of RPL and screening of high-risk individuals in China. Large well-designed researches are needed to fully describe the associations.